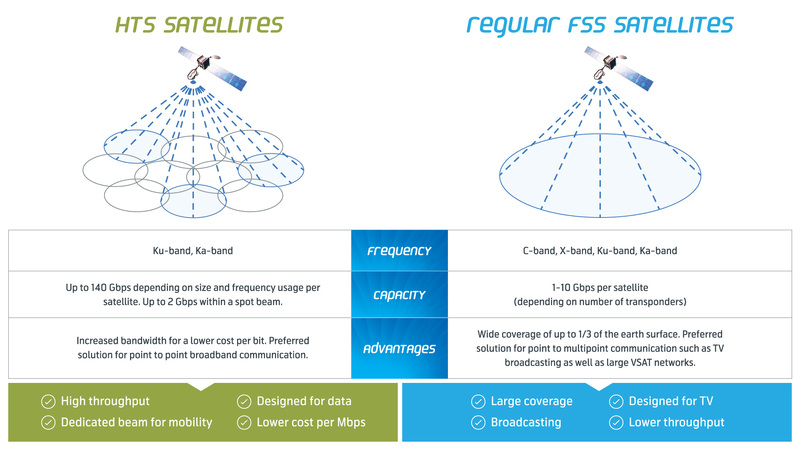 This new configuration allows for a more concentrated signal anywhere within the coverage area, enabling more throughput and higher Quality of Service compared to traditional wide-beam Ku-band satellites. Spot beam architecture also brings with it something very special for maritime mobile users; the ability to experience premium quality connectivity on much smaller antennas – which is simply not possible on single beam Ku-band satellites. As well as reducing CAPEX, smaller antennas are easier to install and service, and they open the door for more vessels to upgrade their on board communications. Commercial fishing vessels for instance, can benefit greatly from moving to THOR 7. They are often at sea for weeks at a time, making communication with friends and family important for the welfare of crew members. Today though, smaller trawlers are limited by the space they have on board for an antenna and potentially the hardware costs, so are usually only able to offer connectivity over L-band services. But because THOR 7 can enable unmatched Quality of Service on 60 cm antennas, moving to high-bandwidth VSAT is now a realistic option. This is just one example. The potential to access reliable, fast maritime broadband on much smaller antennas over THOR 7 will help diverse professional and recreational vessels improve their link to land. This is possible because THOR 7 is a revolutionary satellite, leaning on the latest technologies that bring new opportunities and deliver more efficiency with large amounts of data at reasonable costs. VSAT-based satellite communications is changing so much about how we stay connected at sea and because of its spot beam innovation, THOR 7 is now bringing the benefits to even more maritime users.